Hey friends! Happy Tuesday! How was your weekend? Do you guys mind if we jump right into this post? I hope not. I'm just too excited to even try and talk about anything else other than this super fun fresh shop! 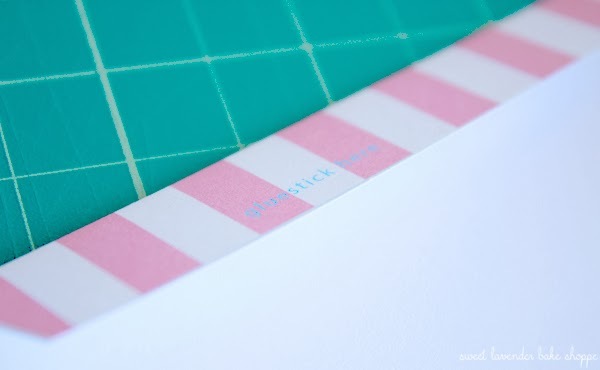 Allow me to introduce you all to Heather and her party printable shop- You Make Do! Anyway, You Make Do is a business that specializes in party printables which are all available as instant downloads! 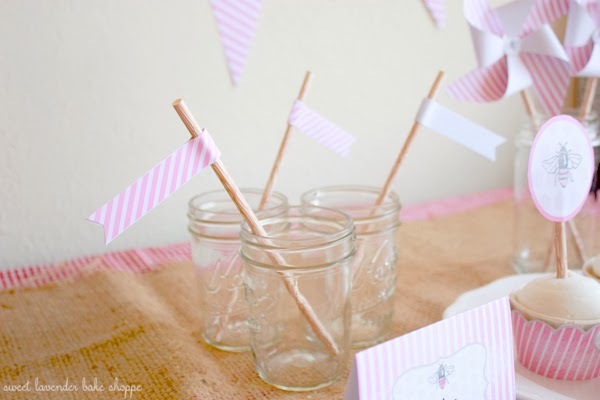 Plus, she has so many super fun party theme ideas that there's something for everyone! 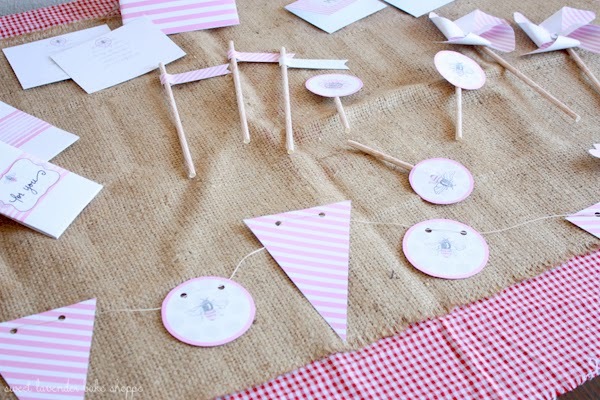 Themes range from garden and bug decorations to nautical ones. From chevrons and polka dots to all things chalkboard! With this type of range, I promise every one of you will find something you just love. 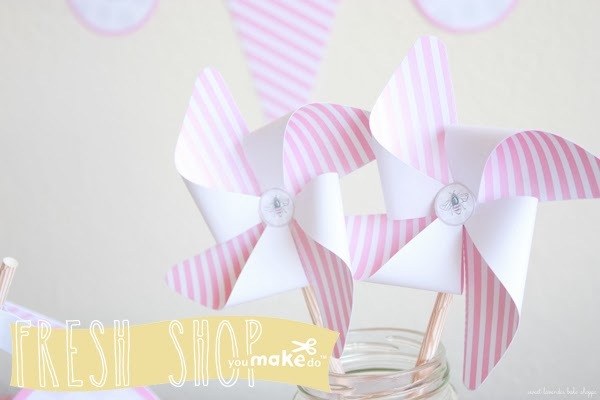 You're able to purchase individual decorations, like banners, cake and cupcake toppers, and pinwheels (love the pinwheels), or whole kits. The kits are where it's at, guys. When you purchase one of those, you'll receive everything you would need to complete the look of your party. ANNNNNND everything is customizable! WHAT? YEAH. When you open your files in acrobat reader or photoshop, you can customize all the text! She includes instructions so you know how to upload your files so you can work on them and add things like names, information, or ages! Go Heather! 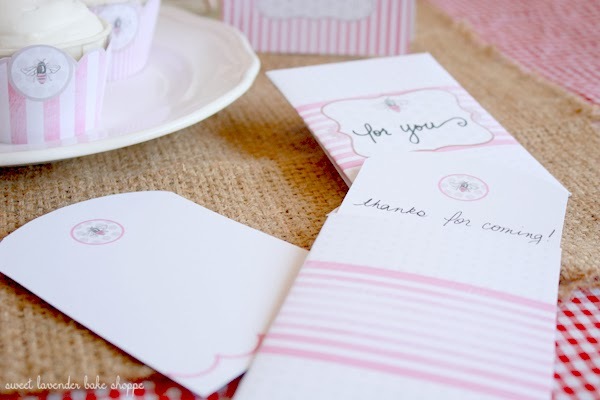 If that's not your cup of tea, print them up without any words and then simply handwrite on them or do a little calligraphy! 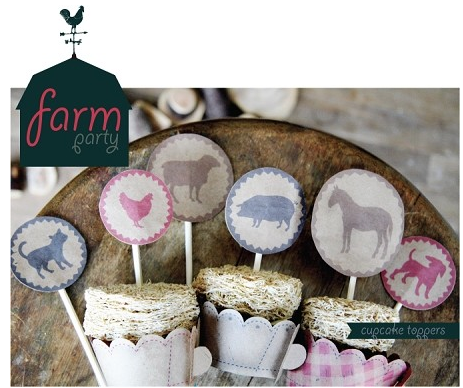 I mean, come on...how cute is this 'Old Fashioned Farm' party kit? Love it! Also neat? You are able to print as many copies as you need right after you place your order! Immediate satisfaction guys. It's all about immediate satisfaction. 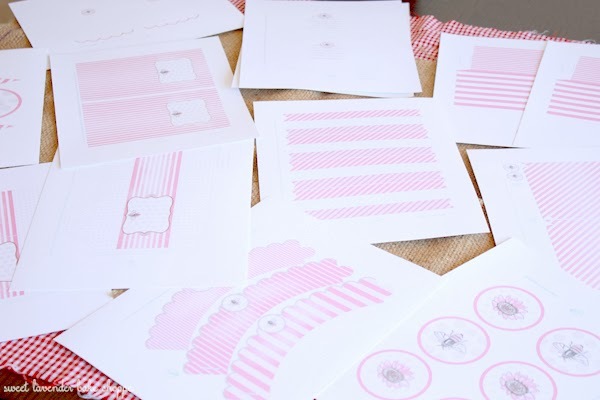 With You Make Do, you're able to enjoy handmade party printables, birthday printables, and baby shower printables to custom create your very own celebration. As for me? 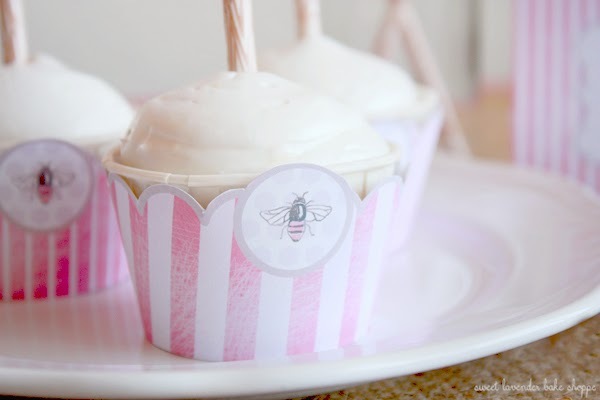 I just fell in love with her 'Sweet Bee' party kit. I'm thinking the gently warming weather and spring season has a lot to do with it :) These decorations make me so happy. This kit came with literally every single thing I would need, decoration wise! All I needed to buy extra were cups, plates, forks, drinks and food (duh). The files were emailed to me immediately and I proceeded to download and print each thing up. 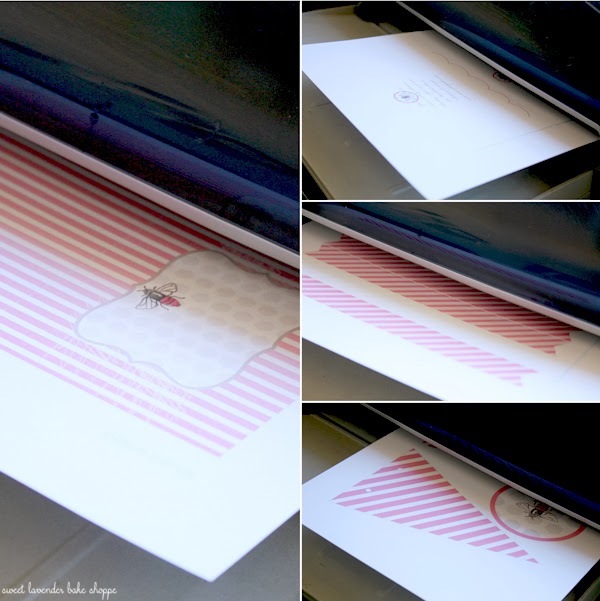 Heather suggests printing on heavy card stock, and I agree. You definitely want the sturdiness of that type of paper. You also want to make sure the settings on your printer say they are printing on the best quality! "Fast" or "Draft" printing is a no-no here. 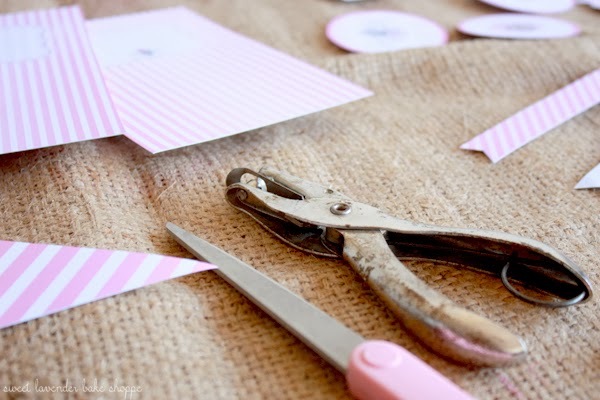 Each file was sectioned into categories like banners, cupcake toppers, wrappers, straw flags, invitations and envelopes, favors and tags...etc. AND, each page was labeled so you knew what it was you had just printed! 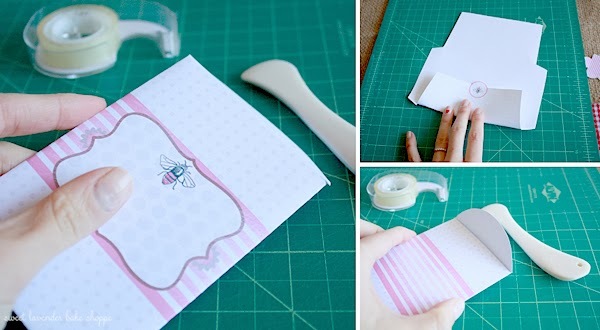 So helpful after I had printed about 20 pages of lovely bee themed party decorations! My table was covered by the end of my printing! 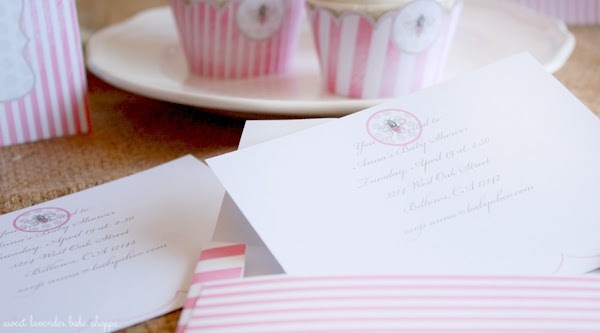 I just LOVED the cute printable invites with matching envelopes and the 'thank you' note cards! They were all so adorable. As you can see, each and every page was spelled out for me- where to cut, where to hole punch, where to fold, etc. Where to apply glue (or double stick tape, like I did). 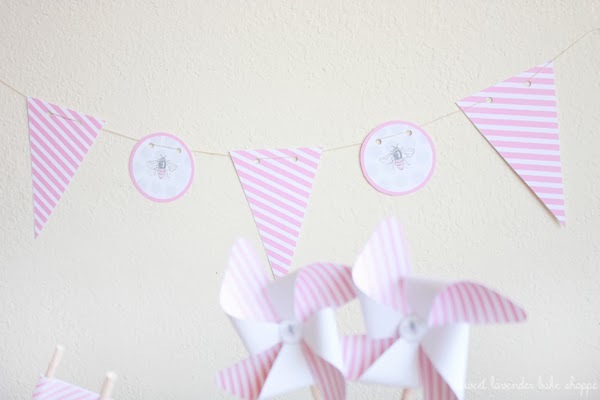 And seriously friends, the pinwheels with their little circular bee centers made me squeal after completing. Holy cow, they were so cute and fun. Now that I've done things this way, I'm totally thinking some of the decorations could have been printed on sticker paper and made into labels or seals for things! 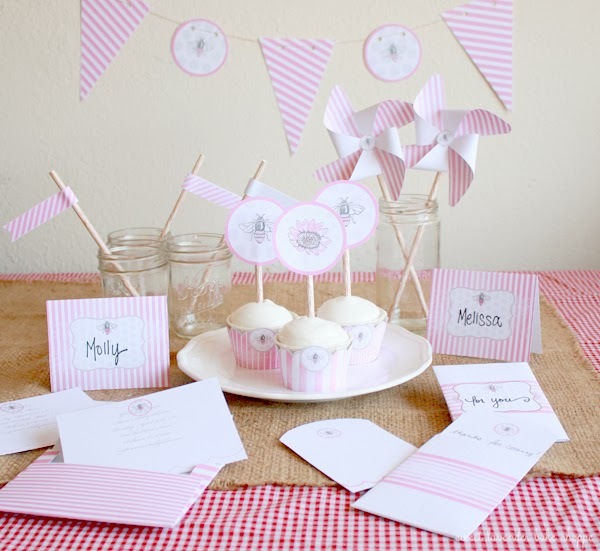 Like the circular cupcake toppers! Or the straw flags! And because you know I'm always completely honest on here, the ONLY downside to all of this was that my little hands and fingers were not used to all of the cutting. Hehe. Cutting everything out, especially the rounded edges, took some time and effort to do. I'm such a protectionist too- so all of the edges needed to be as perfect as possible. By the end of my cutting spree, my hands were as good as dead. HA! So I would strongly suggest grabbing a friend or two when it comes time to cutting and assembling everything :) Unless you're Wonder Woman and can do it by yourself, which clearly, I am not. For the cupcakes I just baked a simple chocolate cake recipe and topped with my favorite cream cheese frosting. 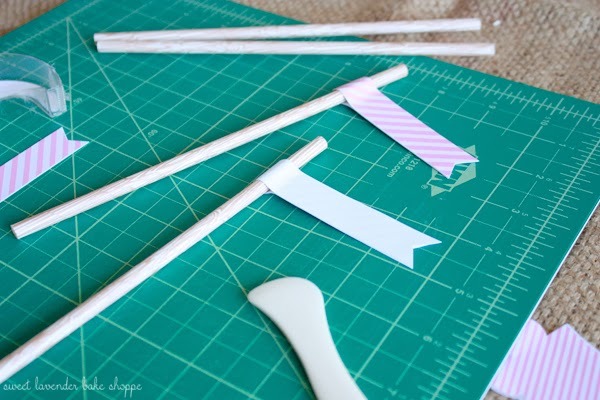 How cute did those little straw flag toppers turn out? 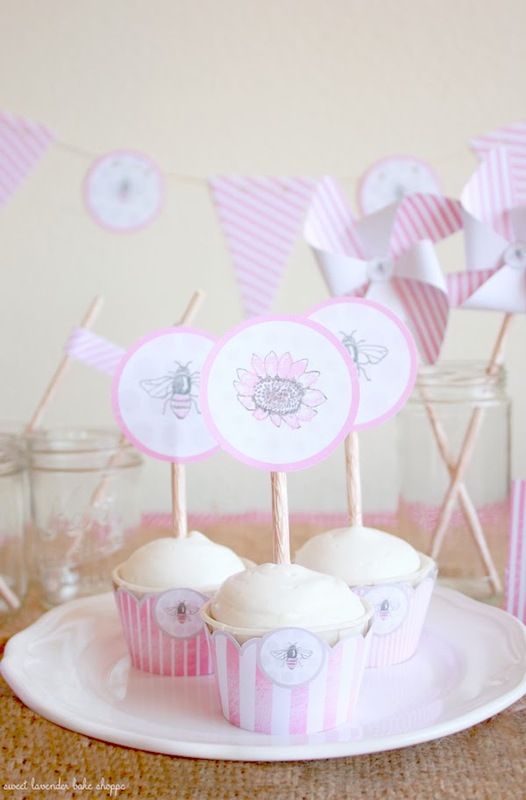 They could also be just as easily used as cupcake toppers too! Like mentioned earlier, every single piece was specifically labeled with the clearest directions. I knew exactly where to cut, fold and tape/glue. I found that using a bone folder really helped with the creasing and folding of the card stock. I opted to use both typed and written text. I thought it added a bit of personality to the decorations. Heather really has thought of everything! Take a look at her lovely site and prepare to be amazed at all the fun going on. Plus her prices are so incredibly affordable. For a low set fee (like this bee kit was $15 guys!) you can print up a million things and customize everything to your liking! 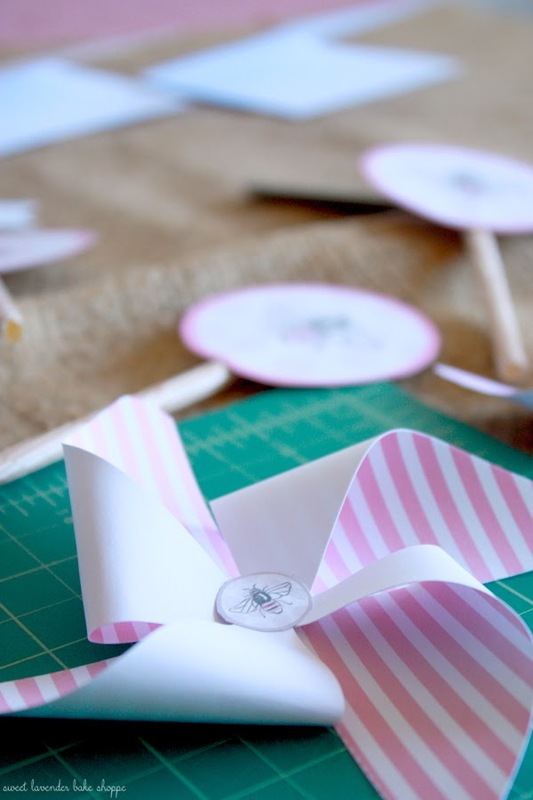 This kit would be so sweet for a baby shower or little one's birthday. PS- I swear I don't have an obscene obsession with pink, haha. It's just how things went and I went with it. Pink scissors and all. You can find Heather and her lovely shop, You Make Do, here! shop. email subscription. pinterest. facebook. etsy. Let's sweeten the fun! 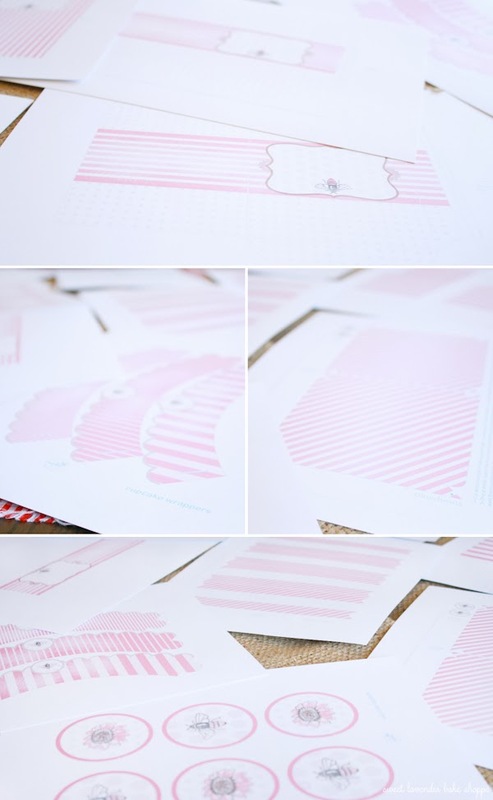 Use code 'sweet10' at checkout to receive a 10% discount on your handmade printables! This gift may be applied to purchases in the you make do® shop and the you make do® Etsy shop. Enjoy! *You Make Do provided me with a free sample of this product to review, and I was under no obligation to write a positive review in return for the free product. All pictures, opinions, and the recipes linked are my own, unless otherwise noted. :D YES! I found using the baking cups versus the papers was such a help in sturdiness! Thank you so much for being a part of this! I had a blast. All of that for $15!? What a steal! I'm going to have to check out her shop...so many cute project possibilites!